The requested URL /contact_files/widget1_markup.html was not found on this server. Thanks for sharing your concern with us. I was able to replicate the error when I tried to open the form in your website. I believe iWeb supports Iframe tags. Could you please use the Iframe embed code instead of the one you're using now? Please try it and let us know how it goes. 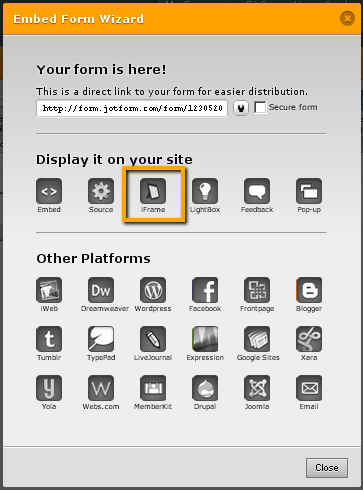 Thank you for using JotForm! You're welcome, Jo. Thank you also for the opportunity to help you today!